This article describes how to create multiple observation templates. Once your licences for Observe have been approved you can now get started. The first task you will need to do before starting to create your templates is give yourself access to the module. 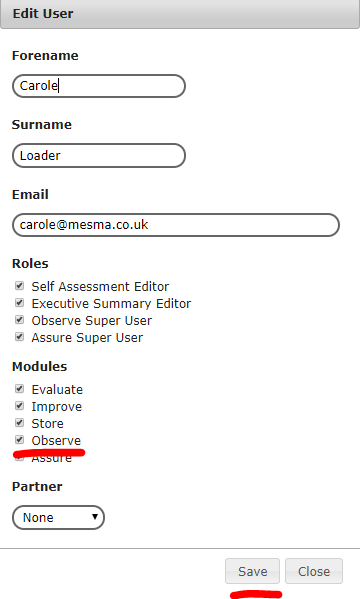 Then select the Observe module and save to allocate your licence. You may then need to press ctrl f5 to refresh your screen. The Observe tab will appear on your tab bar. Click on the Observe tab. 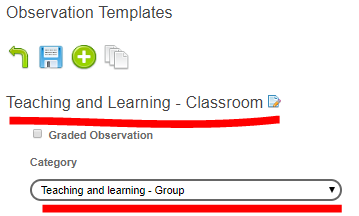 Creating observation templates is a feature only available to Administrators; if you cannot see this icon and have been asked to set up templates talk to your administrator. lick on the 'Edit templates' icon to start creating you observation template. 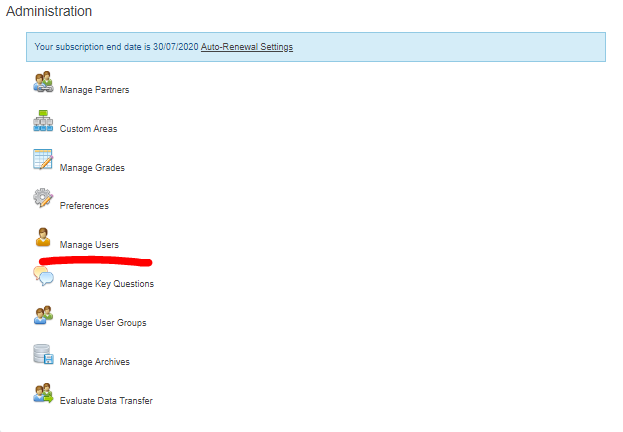 When you create new templates you have the ability to attach this to an assessment category. This will help you group all your different templates. For example; you may observe teaching and learning in the classroom as well as in the workplace. You may use the same template for both but if you don't you can create two different types of templates and attach them both to the category assessment. Once you have given your template a name it is time to start building. Start by deciding if you want to grade this type of observation. If you do, tick the box and start adding your grade profile. PLEASE NOTE: it is recommended that you use the same grading profile across all your template types in order to produce meaningful information on your dashboard. Top tip! - When creating your templates you don't need a field for observee name, observer name or any form of action plan as the system will automatically provide this feature when you complete the activity. When you save your template you will be asked to describe what changes you have made to this version. You can access your template version history by clicking on the 'History' icon. Easily disable your template by clicking on the 'Disable' icon. Don't forget, every-time you save you will be asked to explain what has changed. Add new fields to build your template. Once each template is created it will be added to your list of assessment templates. You can easy import fields from other templates and then edit appropriately. Simply create your template click 'Import Template' icon and decide if you want to copy across the grade, fields or both. You can import from several templates the delete or edit what you don't need.